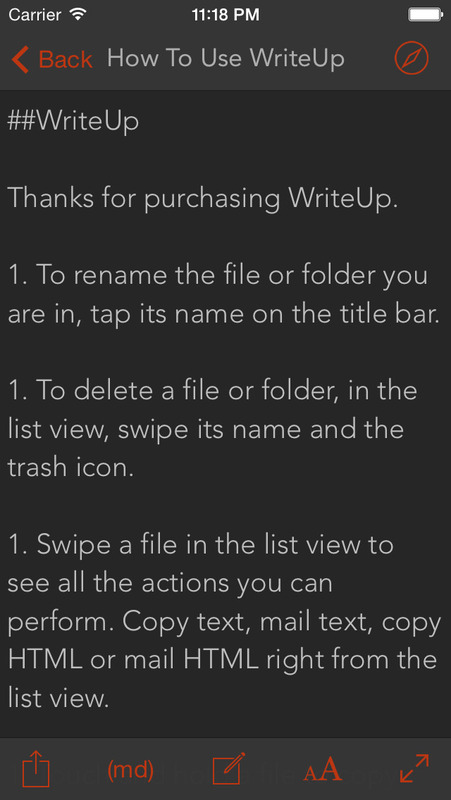 Meet WriteUp. Canvas worthy of your thoughts. – Write articles, blog posts in rich text using Markdown, and preview seamlessly. – Built in browser to look up information. – Copy login information, snippets of information like address with a single gesture right from the list view. 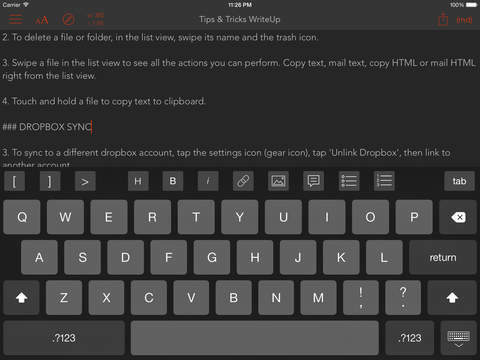 – Save draft notes in rich text, and send as email at a swipe from list view. – Organize notes into folders, and syncs with Dropbox so your files are available from anywhere. – Versions. Browse and restore part or complete previous versions. Never lose a note again. – Easily move notes to a different folder in app. – Copy or mail a note out directly from the list view. Great for mail templates, user names you want copied to clipboard quickly. – Find phrases in note easily. Search inside any note. – Themes allow you to write with a color scheme of your choice. – Solarized theme lets you have a low contrast pleasant writing canvas. The app requires a Dropbox account. You can create one in the app for free. For more information on Dropbox please visit Dropbox.com. Please contact me at [email protected] for feature requests or sending bug reports, and I will personally reply the requests. Friendsee - Broadcast live for Facebook. Free Music Streamer and Media Player for SoundCloud. Download Now! Tayasui Memopad - Draw, Share, Done!